The Carbon footprint (CF) or Carbon footprint labels (CFL) of a product reveals the CO2 released during its all product lifecycle, i.e., material, manufacturing, transportation, sale, utilization and recycle etc. The CF of products inform customers about the amount of CO2 released during this product life cycle and may favor products with lower emissions and release the ecological impact in the future. This paper concerns about the topics of CF in the “manufacturing” stage of a product lifecycle because the CF in the “manufacturing” stage has a majority of CF. Basically, an ERP (Enterprise Resource Planning) which has been a common man-agement system in a company provides plentiful data to evaluate the CF in manufacturing stage of a product, i.e., item master, BOM or manufacturing status etc. An integration model of CF and ERP is thus proposed in this paper. A video capture card produced by a plant in Taiwan is utilized to illustrate the application of the pro-posed model. The functions in the integration of CF and ERP are also presented by using this example to demonstrate the feasibility of this model. E. A. M. Limnios, A. Ghadouani, S. G. M. Schilizzi and T. Mazzarol. Giving the consumer the choice: A methodology for product ecological footprint calculation. Ecological Economics, 2009, 68(10): 2525-2534. R. Nidumolu, C. K. Prahalad and M. R. Rangaswami. Why sustainability is now the key driver of innovation. 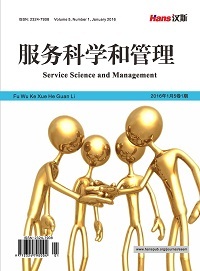 Harvard Business Review, 2009, 87(9): 57-64. M. Finkbeiner. Carbon footprinting: Opportunities and threats. International Journal of Life Cycle Assess, 2009, 14(2): 91-94. J. Jeswiet, S. Kara. Carbon emissions and CESTM in manufacturing. 2008, 57(1): 17-20. H. H. Wu. The issues of the carbon footprint label calculation from the view point of engineering and business management. 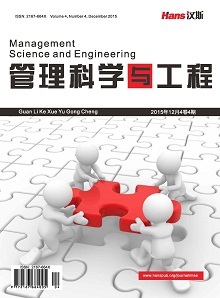 International Conference on Engineering and Business Management, Chengdu, 2010: 3381-3384. S. J. Magal, J. Word. Integrated business processes with ERP system. Hoboken: John Wiley and Sons Incorporated, 2010.